Status: offline This thread has tips for advanced scenario editing, based on the build v1.000. In a scenario, there can be 'no-go zones' that restrict movement, 'destruction zones' where all buildings are converted into rubble and trees are burnt, and 'water crossing points' that convert deep water into passable water. These are read from the scenario's 'zones.bmp' file. In the Battle Generator objectives screen, click the 'READ 'zones.bmp'' button to read the 'zones.bmp' file in the data\scenario\user folder. The image size must match the scenario sector size in pixels, shown top-right between the brackets. 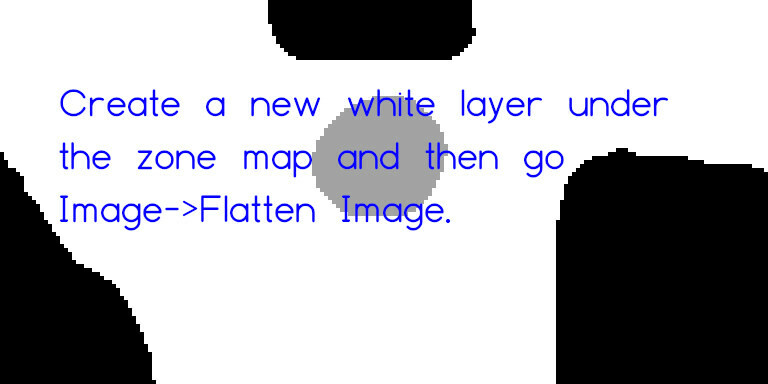 The image uses an 8 bit grayscale BMP format. When the scenario is saved, the file is automatically copied to the generated scenario folder. 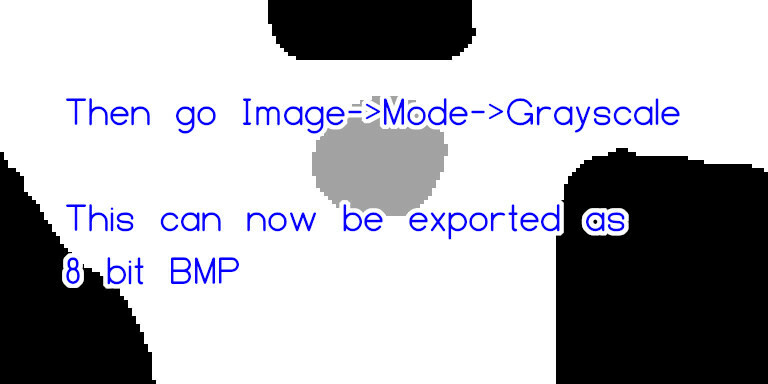 In the data\scenario\development.cfg file you can enable the 'developer mode' by changing the developerMode value from '0' to '1'. This enables a few additional hotkeys. You'll find them in the hotkeys menu under 'developer mode'. Most importantly, Control+Shift+D shows all the AI units, formations and 'main groups' and their paths. 1. The Battle Generator. In the 'mission options' screen, save the scenario and click 'EDIT'. 2. In the scenario selection menu. 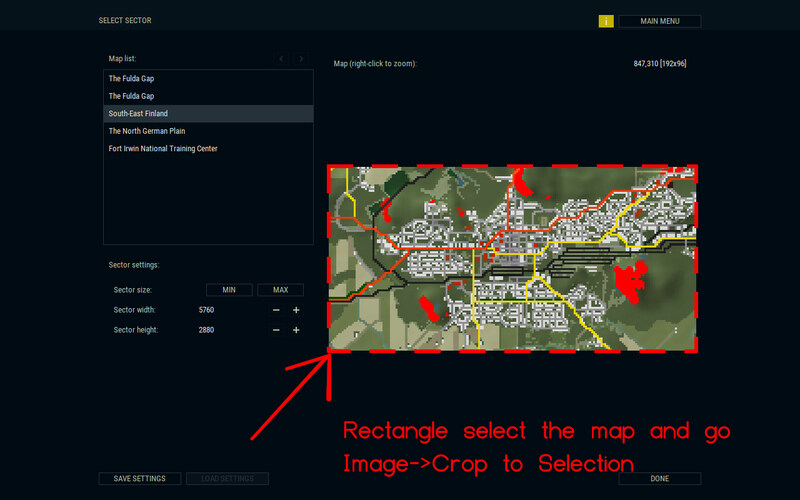 Select the scenario and click 'EDIT'. Note: Only the 'user' folder scenarios can be edited, not the 'default' folder official scenarios. In the scenario edit mode you can move the player formations to their default positions and change the formation orientation, shape, spacing and pathfinding. In the right-click menu you can 'LOCK' the formation, so the player cannot change its default position in the battle setup phase. Also, a mechanized formation can start with its units mounted or dismounted. After you are done, click the 'SAVE SCENARIO' button. The locked 'player character' unit must be assigned, if it was enabled in the scenario launch options. If the option was enabled it will be saved in the scenario.xml file and cannot be changed without enabling the developer mode. objectiveX: You can change the objective name by editing 'name'. forceXFormationN: Formation names can be edited here, e.g. 'Dismounted Scout Section'. forceBPlayable: Set to 'FALSE' if the Force B should not be playable. You may have noticed that if the Force A 'type' is set to 'dynamic' then the scenario is not playable as the Force B, because the Force A AI doesn't have the behavior template available (mechanized/armored/infantry). About purchasing units: The purchase points should always be used as close to the maximum as possible (except if you're purchasing for the Force A in the 'dynamic' mode) so the Victory Point system functions optimally. When editing the .xml or other files I strongly recommend using a more advanced editor than the standard Windows Notepad. It can corrupt the files. I use Notepad++. In the future, there will be more flexible ways to move and rename objectives and designate zones in the scenario edit mode. 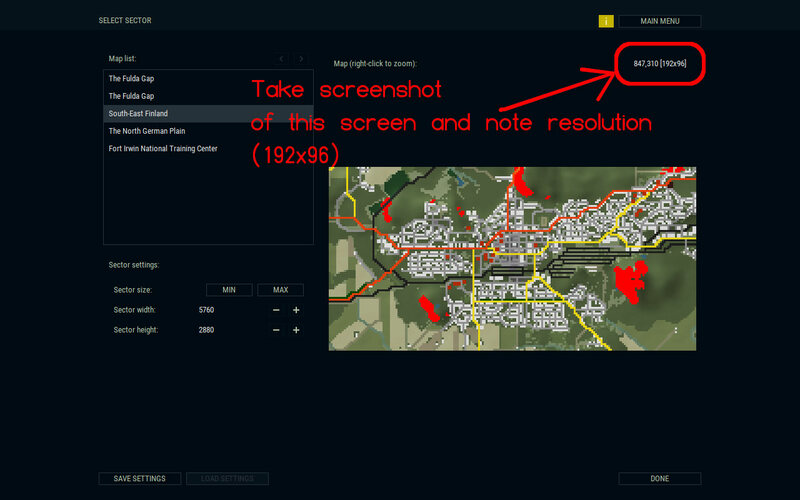 This thread has tips for advanced scenario editing, based on the build v1.000. Thanks for the info, but this is not what I'm asking. My question about no-go zone and water crossing point is about detail of "how" can players prepare "zones.bmp". 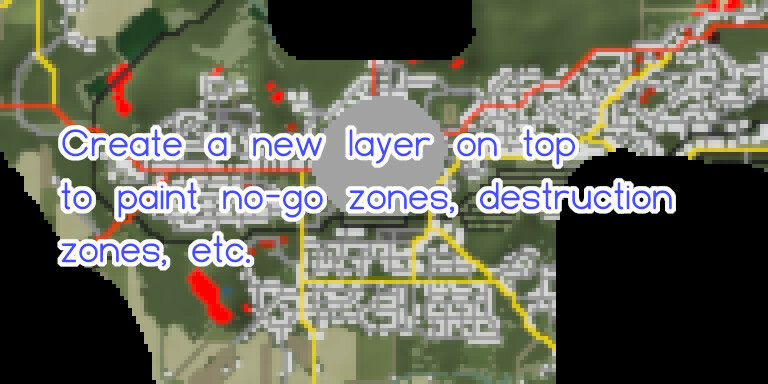 So, how can I edit the zones.bmp for to create new destruction zones and water crossing point? Is it possible for scenario designer to edit such no-go zone and water crossing point from in-game scenario editing mode? Or is this should be done by external programs like GIMP or photoshop? If it requires the exgternal program GIMP or photoshop, could you upload or write tutorial how to create / edit zones.bmp for no-go zone, water crossing point, and etc? 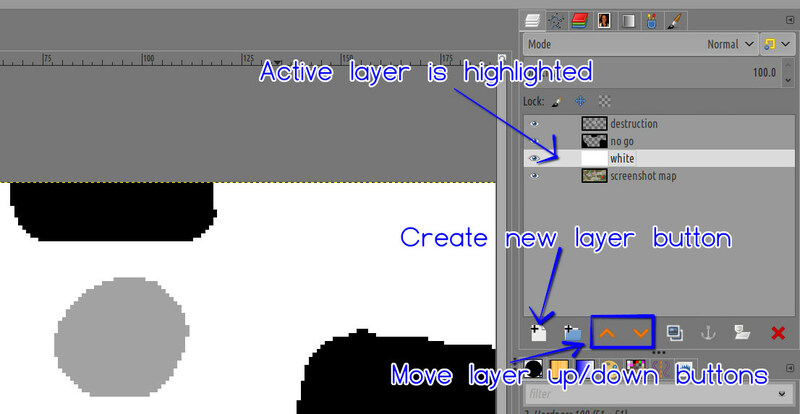 ps) Thank you for GIMP guide!! Status: offline Thanks for the advice. I figured I'd ask this here: is there any way the scenario designer can influence the enemy AI's behavior at all e.g. number and placement of objectives? If so, I would like as many objectives as possible and the ability to choose which ones are dummies. Designers also would like to lock the enemy AI into good logical defensive positions with the ability to release them during the battle. This would allow some design creativity thereby encouraging the community to produce scenarios with a human touch. We all have our wish lists, but the lock function already exists for the player side and might be extended to cover the AI defensive set-up. Thanks. The number of objectives and their initial placement is set in the Battle Generator objectives screen. and the ability to choose which ones are dummies. If the player knows which objectives are dummies after playing the scenario for the first time, the scenario doesn't have any replay value. Designers also would like to lock the enemy AI into good logical defensive positions with the ability to release them during the battle. This would allow some design creativity thereby encouraging the community to produce scenarios with a human touch. We all have our wish lists, but the lock function already exists for the player side and might be extended to cover the AI defensive set-up. Thanks. At least the locking of defensive AI formations can be a good idea. I'll try it. That last bit about trying to allow for us to lock defensive AI formations is big. Thanks for considering it. I know that this game have penetrate option for dismounted infantry, but sometimes penetration is not enough. I served in Army (not US army though) as a LRRP team long ago, I served in recon battalion under infantry regiment. Depending on the scale of operation, we were able to infiltrate to AO long before any operation started. Or we even choose very long circumventing route to penetrate. This make it possible for us to infiltrate deep, hide, and observe enemy assets and HQ position and track them. Sometimes we attempt to raid on enemy HQ tent, but usually we call artillery or air strike. In this game, infiltration during set up phase is limited by enemy LOS. But in reality, (case by case) recon teams are able to infiltrate behind enemy line without being detected by several methods. So, if this game allows to place recon team into enemy territory from set up zone during scenario edit mode, that would be help to create some interesting scenarios for scenario designers. Of course, there should be a limitation that such recon teams, placed deep in enemy deploy zone, should not have direct LOS from enemy. So, they should be hidden in mountains or buildings, and their default SOP value should be set as not engage against enemy right after start. We could introduce one or two SF teams like GRU Spetsnaz, VDV Spetsnaz, Green Berets or Detla (I think it is possible to introduce them via database modding, as infantry team with very high training, morale, move speed, sight and detection, and etc. Maybe we can add some new weapon for them). Then, scenario designers can make some interesting scenarios. We could make hunting of SF teams, or assault on ammo depot or enemy artillery using SF teams, or combined assault of mech infantry + armor supported by spec ops / recon team in AO, and etc... Some of them were in our team's exercise scenario. ps) Could you please help me with zones.bmp question I asked above? Thank you! Status: offline But I asked if objectives (real or dummy) affect the AIs behavior i.e can the designer coax the AI around the battlefield (even a little bit) using objective placement? I think so. Please confirm. Replay value is maintained when the designer issues several files for the same scenario each with different dummy arrangements. Easy. Not an issue. Thanks for looking at locked defensive positions. As you can see, some of us are trying to squeeze as much as possible out of capabilities of the current scenario design process as it stands with version 1.0. Status: offline Is there a way to edit a scenario to add more units and/or delete others? Perhaps this could be done with the 'infiltrate' command... giving the AI a very high rate of success or something. But I asked if objectives (real or dummy) affect the AIs behavior i.e can the designer coax the AI around the battlefield (even a little bit) using objective placement? I think so. Please confirm. Yes of course. The AI is trying to capture or defend the objectives, so indeed it's guided by the objectives. Is there a way to edit a scenario to add more units and/or delete others? Currently the only way is to edit the scenario.xml file. The issue is that after making changes you should update the 'combatPower' and 'forceBModifier' attributes. In the near future patches I'll try to get rid of these point attributes in the scenario.xml, so the system automatically readjusts the values when the scenario starts. That should also fix the issue where the player has not used all of his purchase points, making the scenario last too long. Another great improvement would be to let the player run the unit selection phase again after saving the scenario. This. And allowing the player to place both sides units. Status: offline Made scenario copies and changed the name in order to see it in the list, turned on Dev mode. Moved stuff around for player where I wanted it. Saved. Started game and units moved from saved placement locations, still in the basic area, but enough to trash the LOS setups on most of the repositioned units. Is there a way to not have units move when loading? Thanks. Status: offline You can only lock the Player Side. The AI Side will disregard your well meaning intentions and scatter your placements to high heaven. This issue has been recognized by the developer in another thread. He said giving the designer the ability to lock the AI placement is something he might consider. If you lock the Player Side, the initial placement you decide on should not move. Locking the AI Side is not available at this time. This makes setting up integrated defenses based on cover concealment and LOS impossible for the scenario designer. Once the scenario starts, the AI places their forces where ever it pleases. Status: offline Kevin, this was the player side. I'll check the locks. Maybe that's where I broke it. Thanks for the information. Kevin, this was the player side. I'll check the locks. Maybe that's where I broke it. Thanks for the information. Are you sure you loaded the scenario you had in the 'user' folder, not the 'default' one? Status: offline User version. 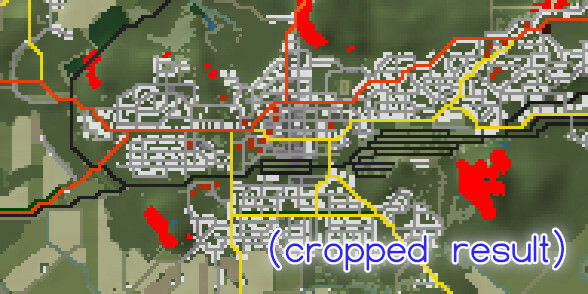 I renamed the scenario so I could tell which one it is. Status: offline Ok I think I know what's wrong. You must give the scenario a unique ID in the scenario.xml. It's the same because you copied the file.